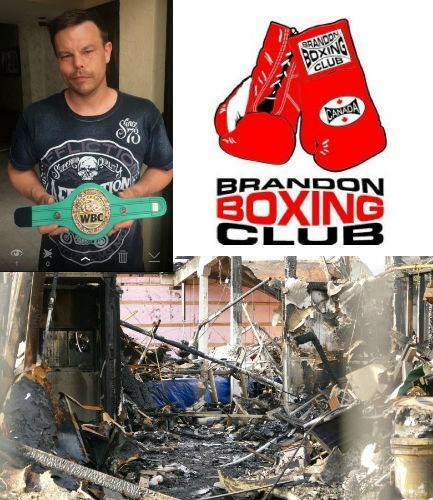 Help the Brandon Boxing Club get back on its feet and support the club in its efforts to provide a free, safe environment for the youth of Brandon! The Brandon Boxing club, proudly owned by Noel Harding, has been in business for over 17 years, the last 12 of those spent at the Pacific Avenue Club. Tragically, in May of 2108 fire ravaged the building and left the club and 4 other businesses in ruins. Harding got word of the fire when he was in Juanacaltan, Mexico preparing for a middleweight match. "It was a tough fight to say the least," said Harding, standing in front of the remains of his club. "I know I couldn't fight out of anger. It was a tough thing to do, fight right after hearing that." It has left its 30-50 regular members with no place to train. Training classes have still been taking place on the street in front of the burnt building. Until he can rebuild and find a temporary location, he's taking things day by day, hoping for the best. It is the goal to obtain a new building where things can get back to normal. 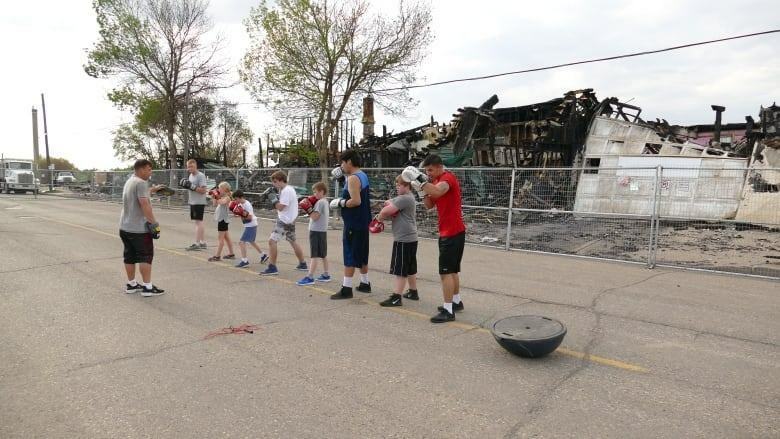 The Brandon boxing club has been a staple in the community where kids can release their anger and frustrations in a positive way, socialize and feel like they belong to something with no judgment. The club is run by many volunteers including Harding’s parents. "I didn't get into it to make money. I do it because I want to want to provide an outlet to the youth … a positive outlet to channel their energy in a positive way," said Harding. "That's why I strive to get a bigger, better place." Harding it looking to set up a youth club where kids can gather in a judgement free zone and grow both physically and emotionally. "You can try to hit me, knock my down but we're going to keep going. The show will go on and I will vow to that." 10% from every order goes to support the Brandon Boxing Club. You get your items, and a portion of the proceeds from every order goes to help support the Brandon Boxing Club.